GoedLaak is a unique music collective. 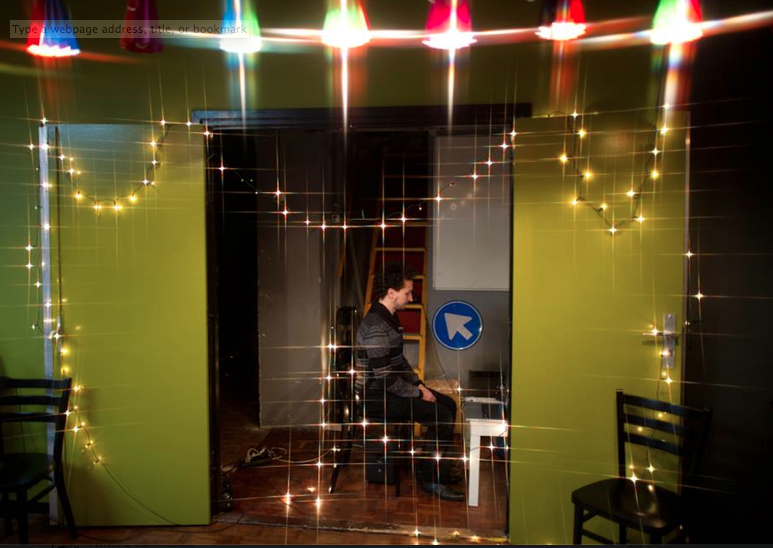 Georgi is one of its creators and active members as composer, singer and performer. Click here or on the pictures below for the GoedLaak homepage! On the 19th of April the GoedLaak music collective invites you to be part of a very special night. A co-production between amny different artists and groups, in the name of hope. We will create and re-create the traditional sequence of the jewish passover night, with experiencing the traditions, having philosophical discussions, composed music, musical games, improvisations on traditional melodies which we also teach to our audience... all this from 23:00 till 6:00 in the morning! you can join every hour for a set of 40 minutes with us, and the return to the main hall to listen to the story of the night and discover the other spaces and activities too! 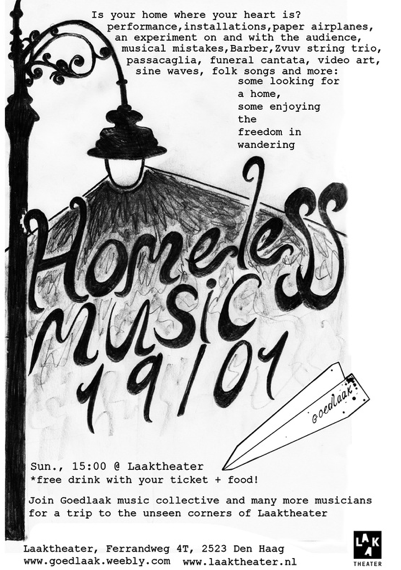 Homeless music - GoedLaak Concert 3. 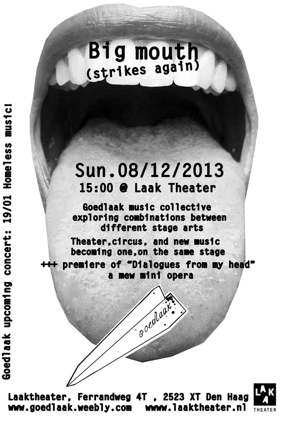 For more of Georgi's activities in GoedLaak music collective, click the pic! played second violin in the favorite, Yael Levi's 'Passacaglia'. With wonderful people, wonderful performances, wonderful audience! 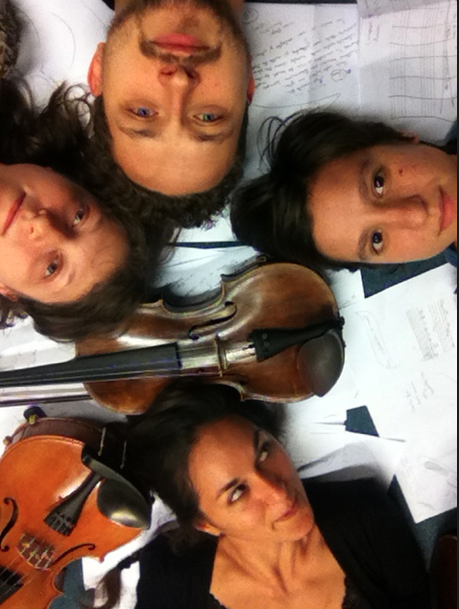 A very colorful project in Hungary was the recently premiered piece 'Inter-play' , where Georgi worked together with Balint Bolcso composer and electronic soundscape artist, Katalin Koltai guitar player and Zsolt Bartek clarinetist, and two dancers, Andras Meszerics and Tamara Vadas. Being part of this kind of free flow creative process and giving musical material to be used in such a structured improvisation sequence was a new experience, yet very successful. Have a look on an excerpt from the performance! The third concert was a free flow between spaces of the Laaktheater and genres of GoedLaak.